*Notes from Us: We can be flexible with days of the week and time we let musicians play. We do not provide monetary compensation for musicians, however, we do provide complimentary drinks to all musicians during the duration of their set. Musicians may set out a tip jar in front of their set, as well as merchandise. We reserve the right to adjust the volume as necessary and we ask that you keep lyrics PG, as we are a family friendly coffee bar. Due to some recent changes to our music licensing agreement, we unfortunately cannot allow musicians to play cover songs. *Notes from Us: You may choose to sell the work you display. We do not charge commission for pieces sold. You may leave business cards out at any of our shops. 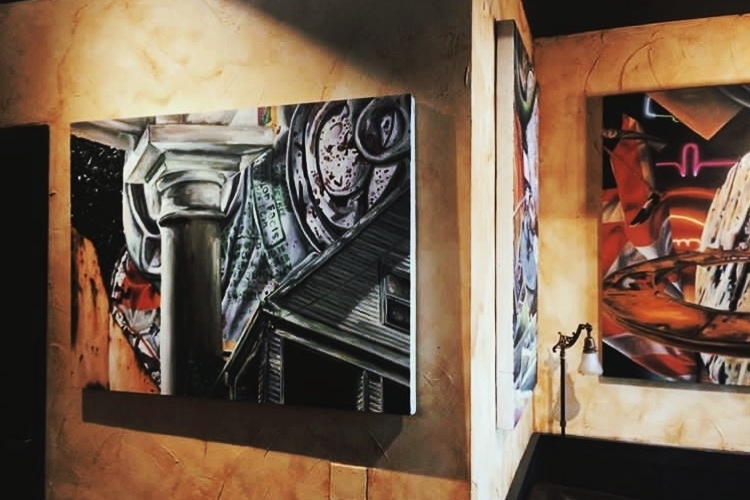 If you wish to have a Meet the Artist event, we can book a date during the month your art is displayed. The art we choose to display is at our discretion; we are a family friendly coffee bar. You must be able to drop off your art to each location you wish to display at and you must be able to pick up your art from each location you are displaying your work at when the month is over. We do not have room to store your art when it is time for the next Artist of the Month to display their work.